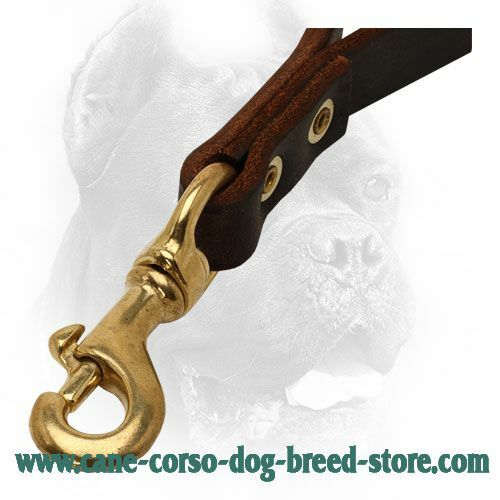 Pay less for short leather dog leash with brass snap hook! 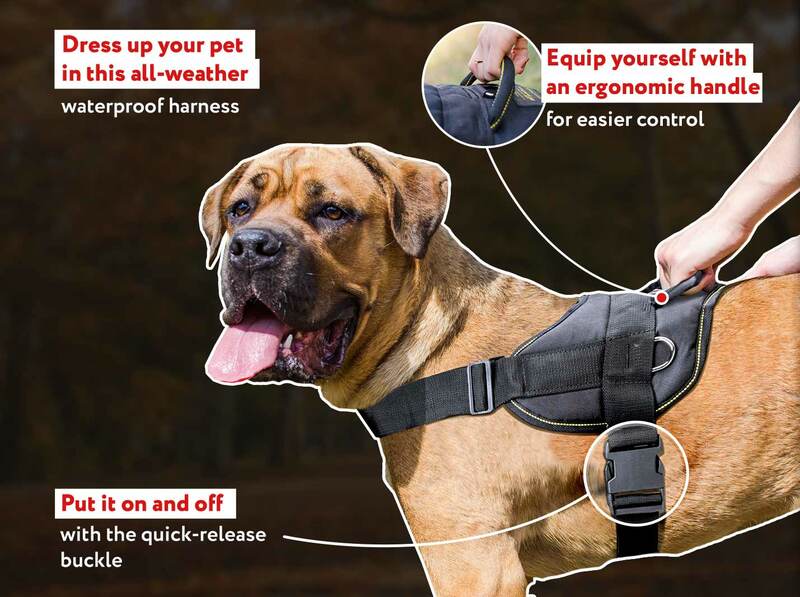 Walk, train and control your pet effectively! 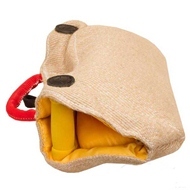 Directly from maker. 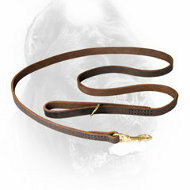 Classic leather dog leash is offered on this web-page. 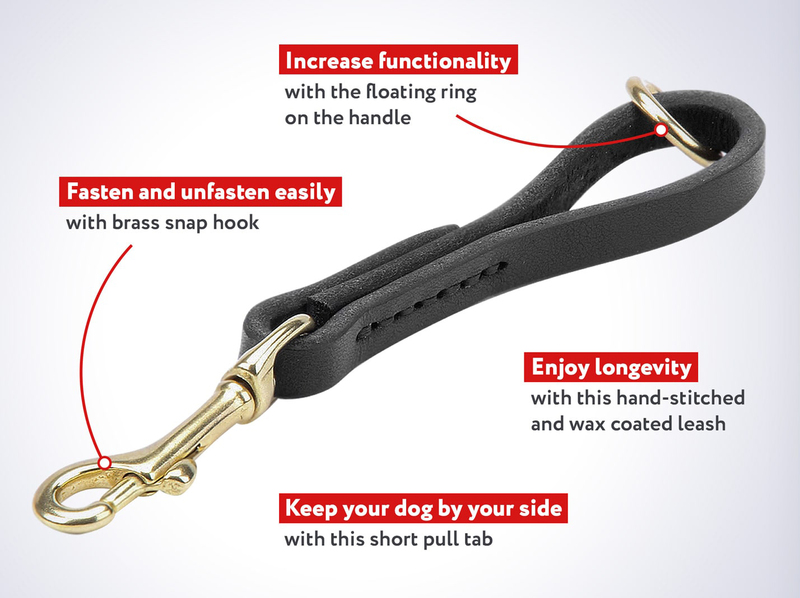 Probably, it will be your favourite short canine lead. 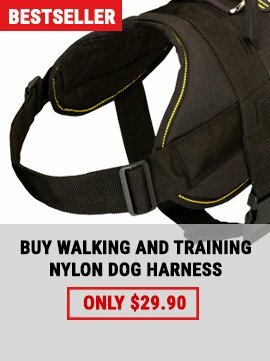 This gear is meant for training, walking, controlling, patrolling. 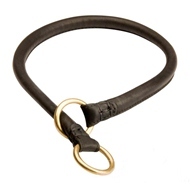 The best quality natural material - full grain latigo leather is used for this pet supply. 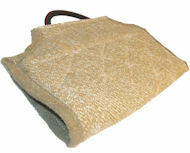 The wax is brushed on the edges to prevent their fraying. 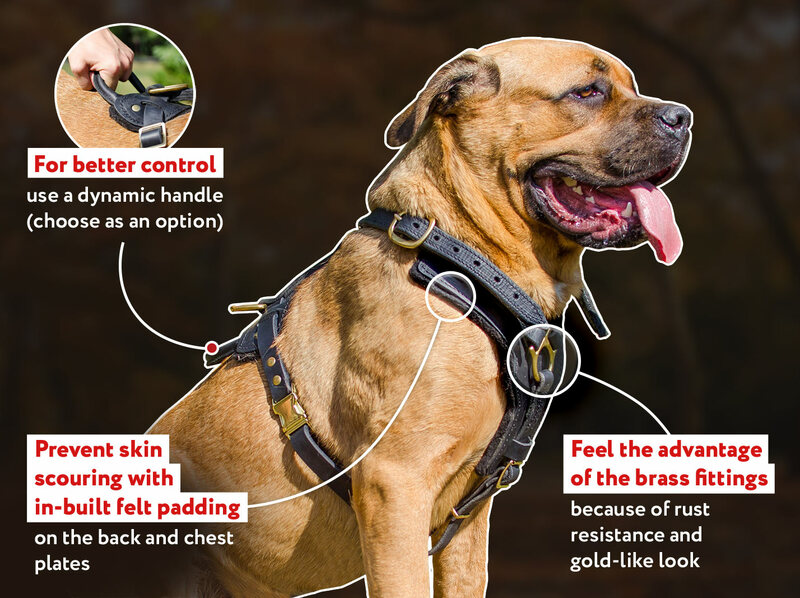 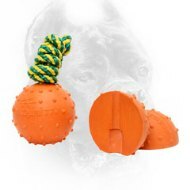 This is the highest quality canine gear destined to be your irreplaceable assistant tool. 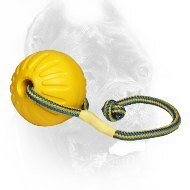 It also helps exercise the dog's body making it muscular and at the same time be in control of him. 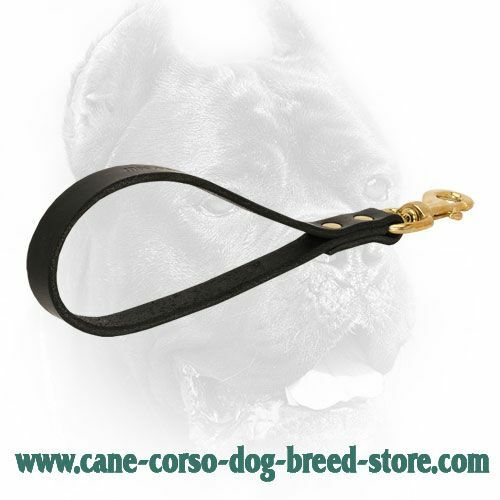 Correcting your pet's behavior with the leash you achieve the best results. 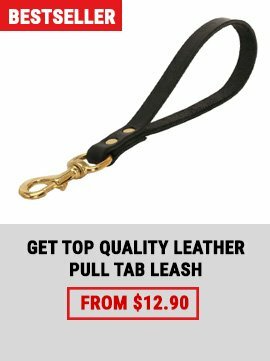 When it is necessary to take your pet out of the car the lead is very useful. 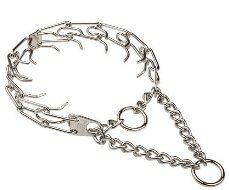 This accessory does not get tangled in the feet. 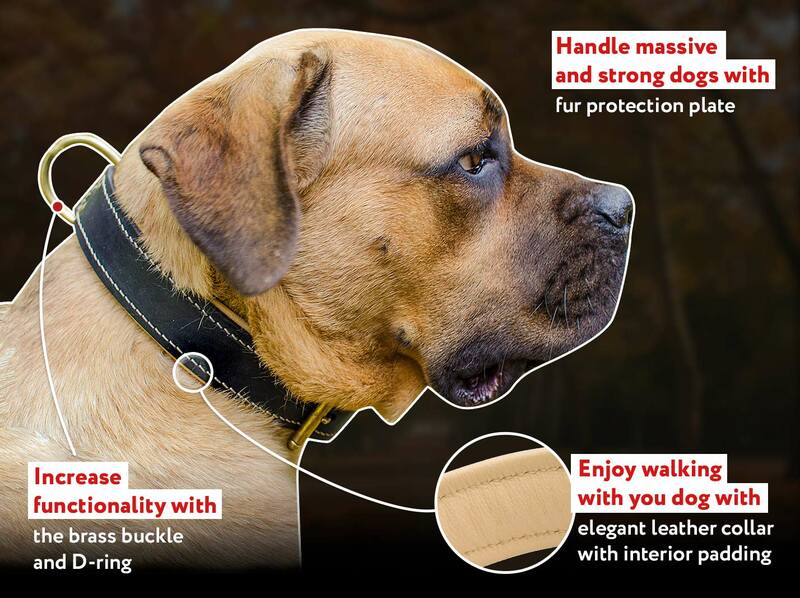 Due to its ergonomic design you are able to take it along wherever you go. 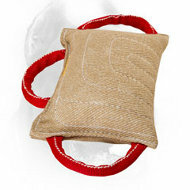 This product is safe and non-toxic. 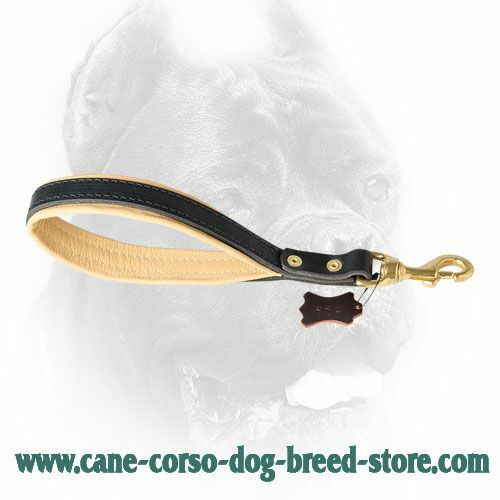 It is easy to make your Corso happier if managing him / her by means of the facility. 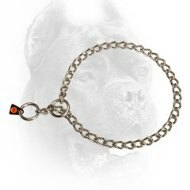 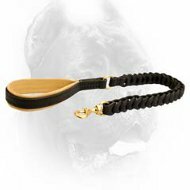 Provide your pet with perfect dog gear - this short dog lead. 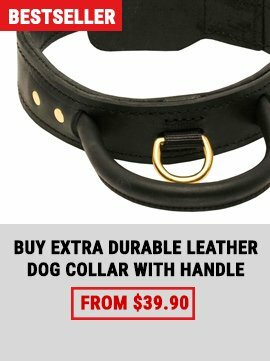 The colors are brown and black. 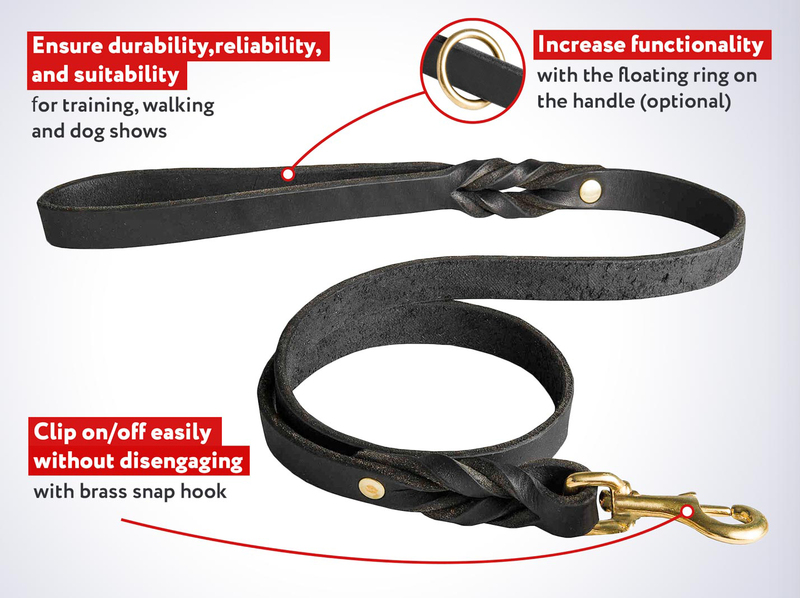 This leather dog leash is long-servicing equipment that will not tear apart because your pet pulls hard. 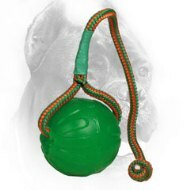 It is durable and dependable accessory that will not let you down. 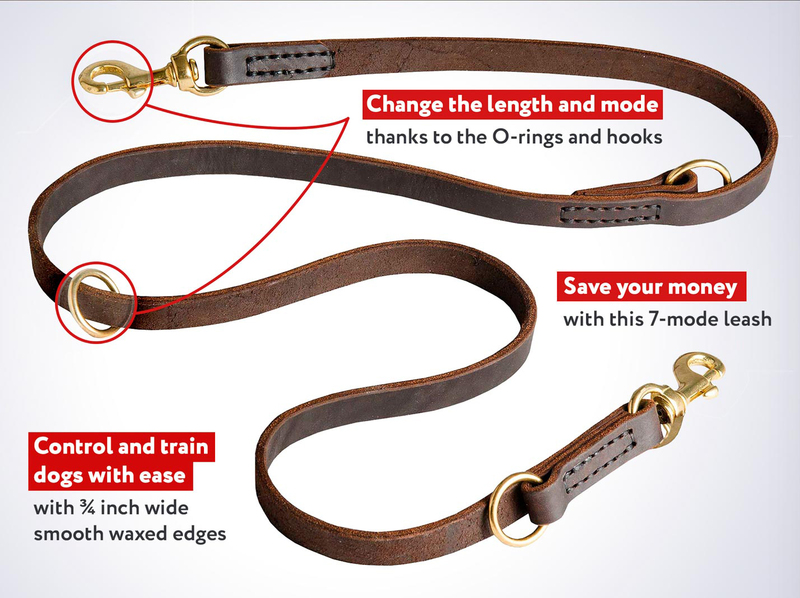 Its strength is increased by oiling the surface and riveting. 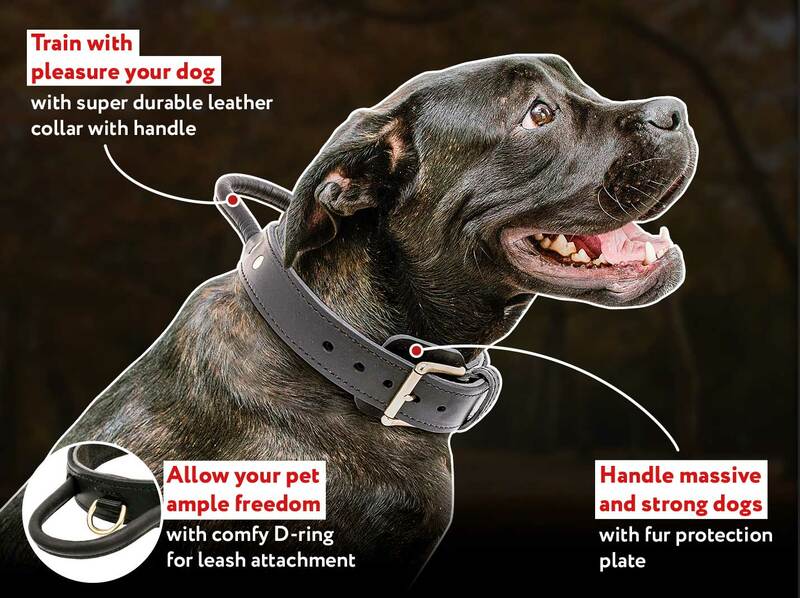 Handset rivets secure snap hook to be used for leash. 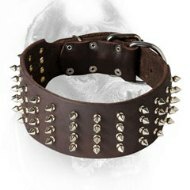 The leather is not only strong but also soft and smooth. 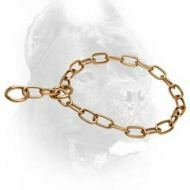 It will look better and better if you keep it away from water contact and treat with leather conditioners or lubricants. 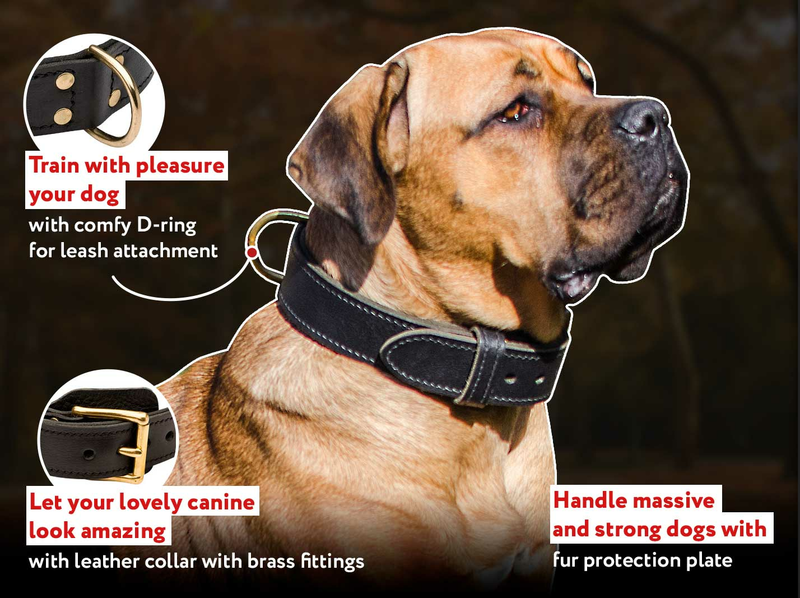 It is pleasure to handle the accessory that causes no skin rubbing or similar. 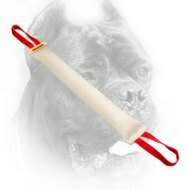 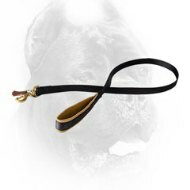 You will love using the supply as its service is truly great: behavior of your pet is properly corrected but your hand does not suffer from sharp leash jerks – order this leash with soft padded handle. 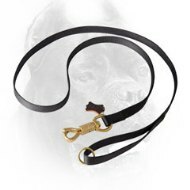 There are three types of this leash - 2 with ordinary handles and 1 with Nappa leather lined handle. 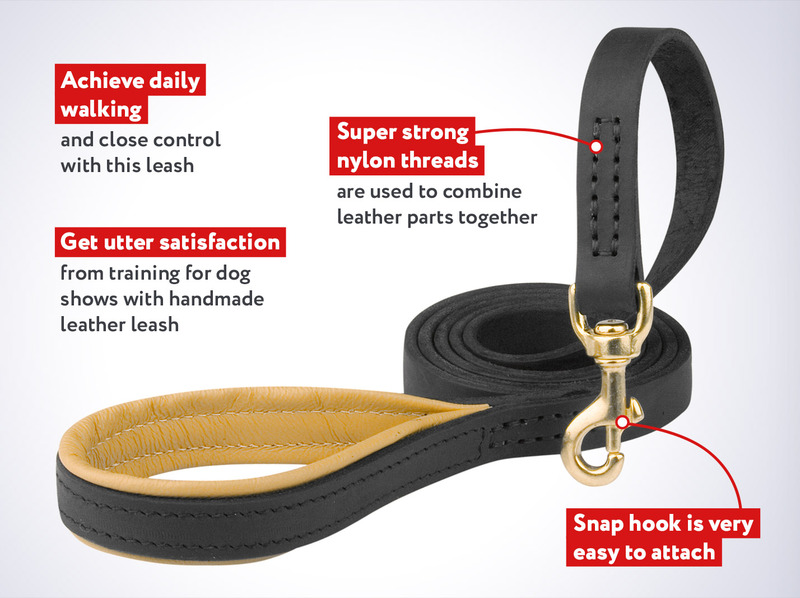 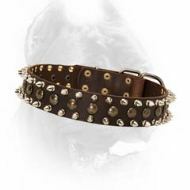 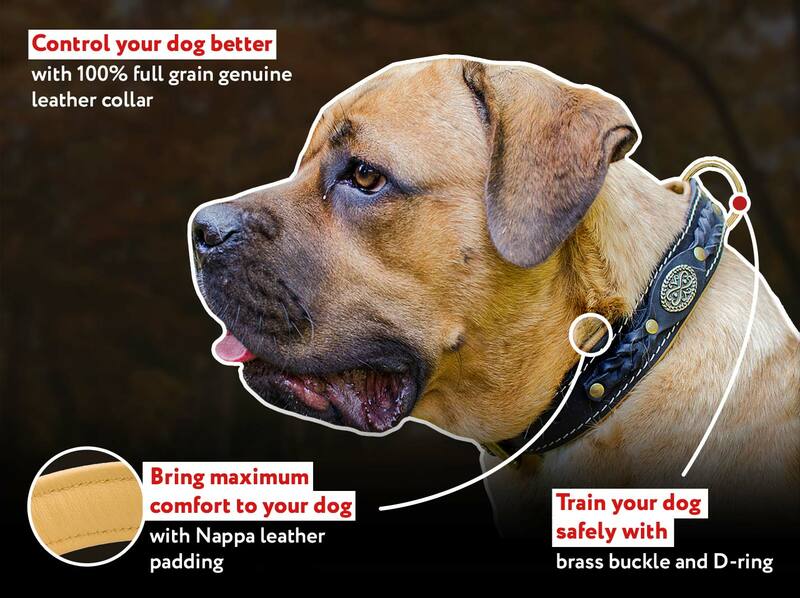 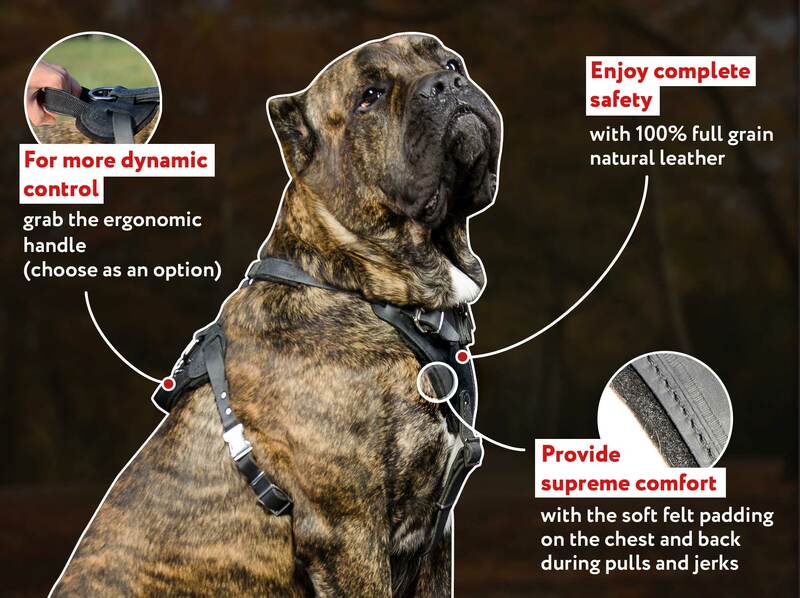 Nappa leather prevents skin rubbing even if hard jerking of the leash takes place. 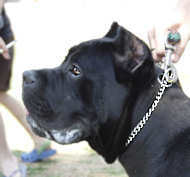 Be outside with your pet for long time – your hand will not be wounded during leash walks. 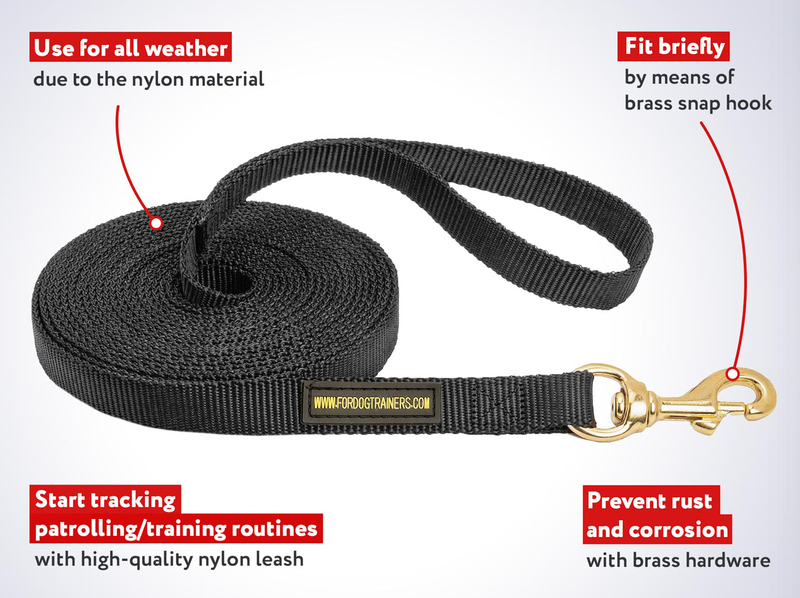 We made hardware of rustproof alloy – goldish brass. 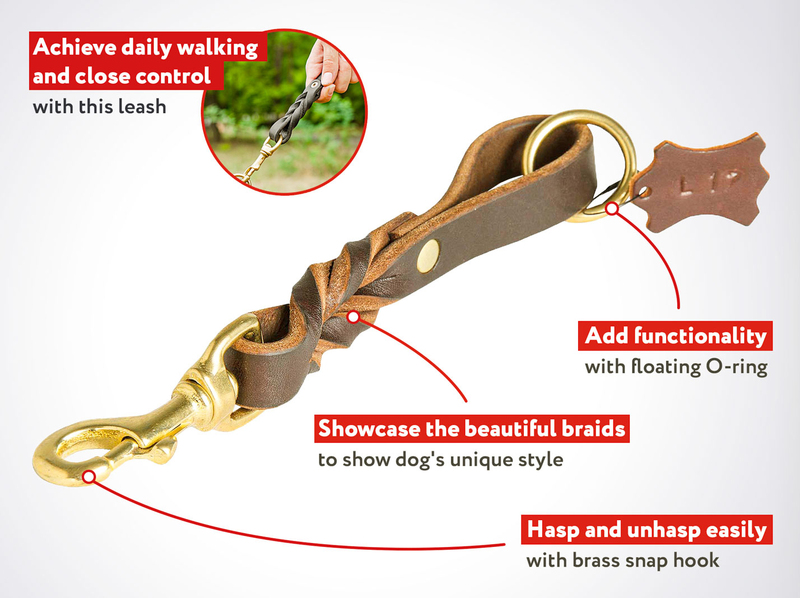 Brass snap hook is also durable. 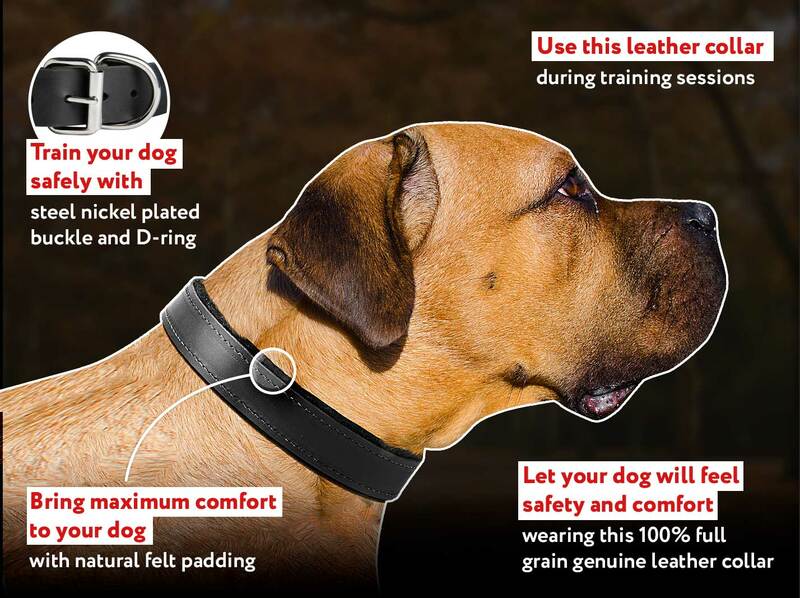 It is connected to dog collar with the only click. 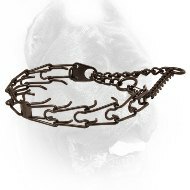 The connection is reliable and the hook can be released only if you want it to. 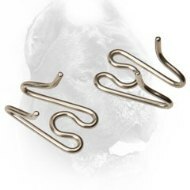 Again, snap hook is a reliable and convenient fastener.